Capcom’s classic survival horror franchise has been creeping out gamers for almost 20 years now and is credited with kick starting the whole survival horror genre (though readers of the first R3PLAY Magazine will know that this honour really belongs to Pac-Man). It’s 1996. There have been survival horror games before; there have been zombies before; but there has never been anything like Resident Evil before. Boasting gloriously textured locations and polygonal character models, the game was initially very impressive. Yet this was just a front, a teaser to draw you in to the intimidating and oppressive world that Capcom had created. Resident Evil was the Playstation’s “killer app.” I wasn’t interested in racing or fighting games, as they were basically the same as ever. 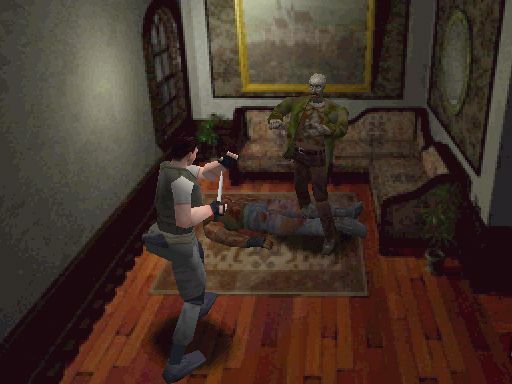 Resident Evil was something different however. It was tense and atmospheric. It was puzzling and shocking. And it was just what I wanted after years of platforming and shooters on the 16-bit consoles. 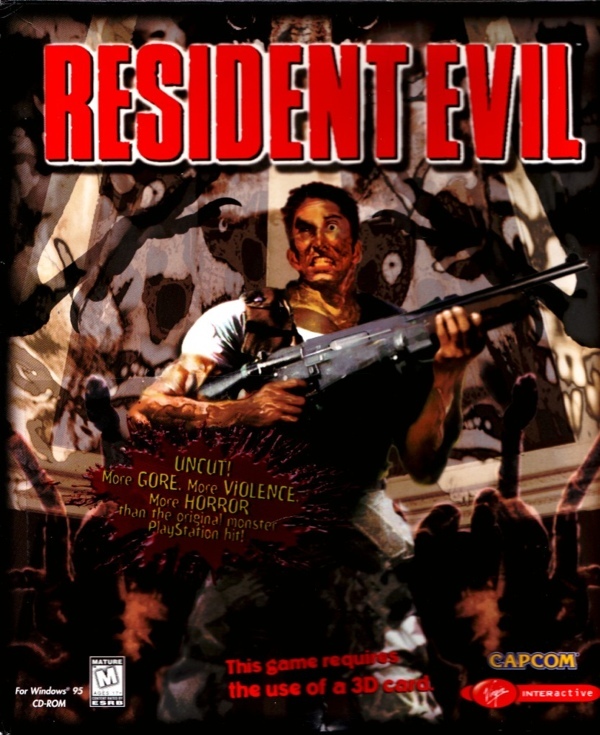 So what was so great about Resident Evil that had me hooked? Firstly, the game was masterfully tense and claustrophobic, never once giving you the opportunity to just blaze away at the various undead inhabitants of the mansion. There simply wasn’t enough ammo. 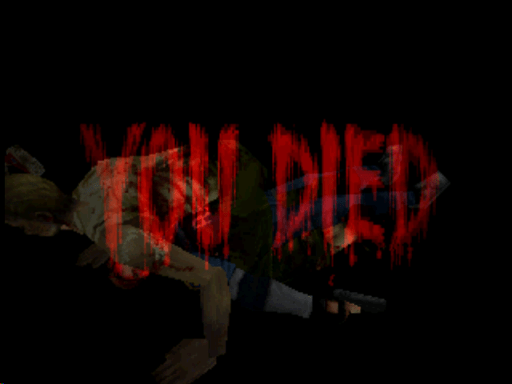 This meant you had to work around many of the shambling zombies (at least initially) creating more tension and excitement. Secondly, I always thought that the safe rooms were a brilliant idea. They made the gamer constantly think about where he was in relation to them, not just for safety but for the constant juggling of items in your inventory. Thirdly, the puzzles were like nothing I had seen before. You had to search. You had to experiment. You had to think. But you always had the constant threat of having your neck bitten open by a creeping horror. And then there were the shocks. 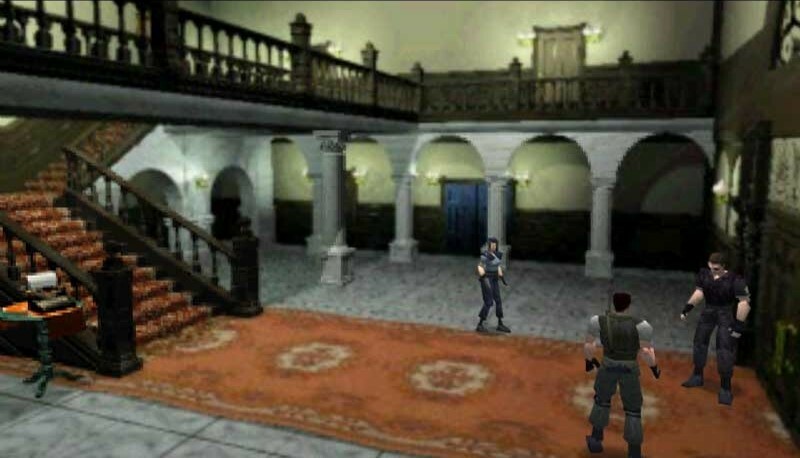 Resident Evil was never designed to be a fast-paced game, but when those dogs first launched themselves through the mansion’s windows, a frantic dash for the exit raised the pulse through the roof. Similar events occurred throughout the game at other points, rarely enough to still surprise you. Anyone who knows Graeme will see him as an eternal optimist, always seeing the good and overlooking the bad. Fortunately I am not like that! 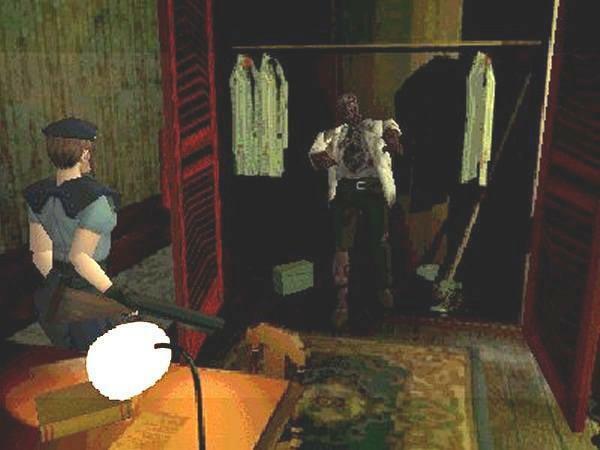 When I first came across Resident Evil in 1996 I was intrigued. Even before the upsurge in popularity of zombie movies (no doubt caused in some part by the Resident Evil franchise) I was a lover of the genre. So when I started reading magazine reviews of a game where you are dropped right into the hell of a George A. Romero movie, how could I not rush out and part with my hard earned cash? Upon first loading you are treated to one of the cheesiest opening sequences you will ever see. I urge you to fire up the game or just search for the intro on YouTube. From the moment Barry Burton rubs his beard to signpost his ponderance, you know that the FMV that was used a selling point for the game is far from Romero’s B-movie stylings and much closer to Miss Mahoney’s year 5 school project. The cut-scenes are there to set the atmosphere and move the story forward. However I would argue that they hold the game back, destroying any sense of tension with their comedic overacting and poor direction. Of course the cut-scenes are but a taster and a game can still triumph in spite of them. So let me now move on to the controls. Make no mistake, Resident Evil is a long and slow affair punctuated by heart pounding moments of panic where quick wits are required to fight off (or hastily retreat from) the undead oppressors. So why on earth did Capcom decide that rotational controls were the way to go? Picture the scene – you are trapped in a small corridor, a zombie is bearing down on you and you decide to raise your weapon, turn and shoot. Only it takes you so long to make Chris (or Jill) shuffle round to face the correct direction that by the time you have taken aim the zombie has ripped through your flesh and you are a goner! Now I’ll accept that my dislike of rotational controls may be a personal preference, but what Capcom did next really was the final straw that made me give up on the game… they introduced the typewriter save method. For a game made needlessly more difficult by an ill fitting control scheme, forcing you to find an ink ribbon and then find a typewriter to use it on before you could save your progress was just plain mean. It wasn’t like they were liberally scattered throughout the mansion; they were even scarcer than the small amount of ammo that had been afforded the player. This article first appeared in Replay magazine, 2011.